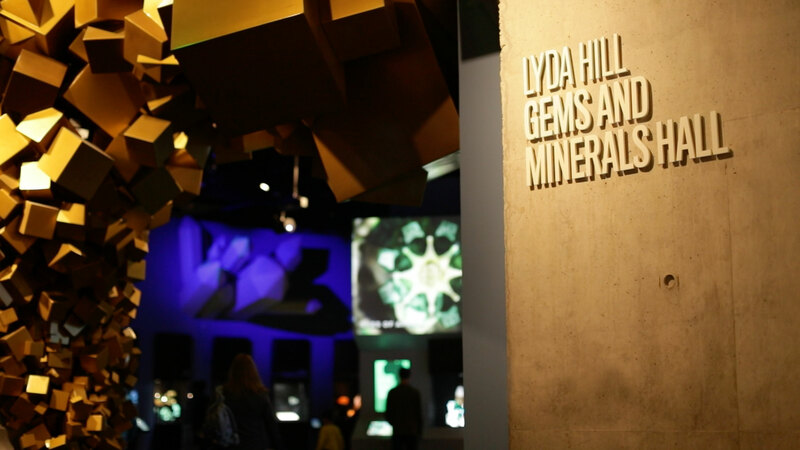 In January of 2019, the Perot Museum of Nature and Science updated its Lyda Hill Gems and Minerals Hall and Groove Jones was asked to help. 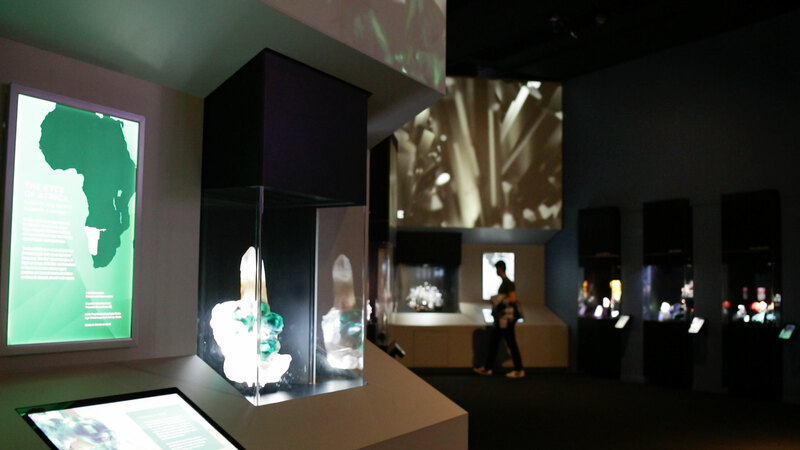 The hall now includes 37 cases, with four new highlighted signature displays including The Eyes of Africa, a giant fluorite from Namibia and birthstones representing each month. 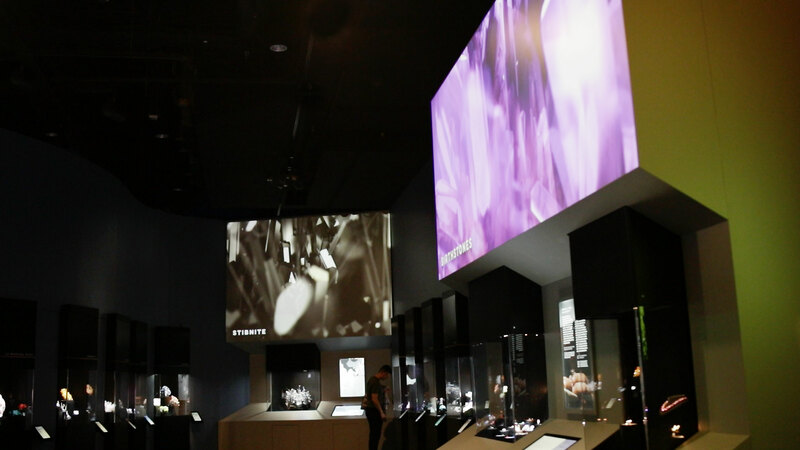 Groove Jones was asked to create the new video and motion graphic projections being displayed within the hall. Below are some of the images of the production. 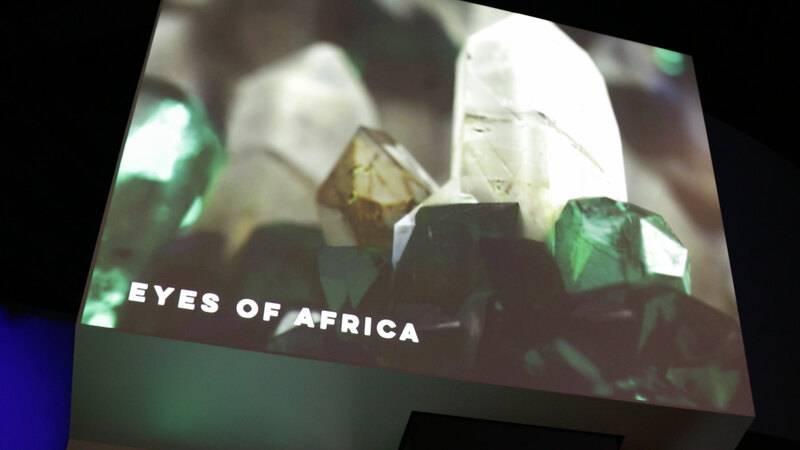 The Museum’s Gems and Minerals Center of Excellence, a new strategic focus led by Kimberly Vagner, aims to elevate the Perot Museum into the international spotlight of the gems and minerals community. 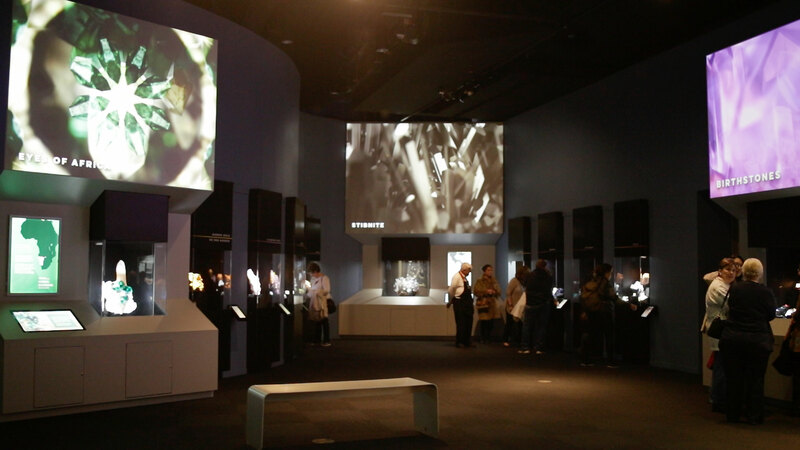 The hall reopened to the public on January 31, 2019, and is located on the 3rd floor of the museum.